South Australia’s Mental Health Strategic Plan – have a say! The development of South Australia’s Mental Health Strategic Plan is beginning and we want to hear from you! South Australians can now share their ideas and suggestions about what should be in our State’s Mental Health Strategic Plan. The South Australian Mental Health Commission is leading the development of the Mental Health Strategic Plan. The Mental Health Strategic Plan will set the future direction for the mental wellbeing of South Australians and outline how people can strengthen their mental health and access quality care and support when required. Ways in which South Australians can strengthen their mental wellbeing. With one in 5 South Australians likely to experience a mental illness in any given year and as many as half of us likely to experience mental health problems in our lifetime, at some stage you, someone you love or a friend or workmate may be mentally unwell. That’s why it’s important for South Australians to have a say on the kind of services and support we want – for ourselves, our family members and friends into the future. The Mental Health Strategic Plan is not just about mental illness and the public and private systems. It’s about how we prevent mental health issues arising, how we can act early to support people who first experience symptoms and how we support those working in the mental health system. I want community and sector “buy-in” for the Plan because it is South Australia’s Plan. The Commission does not own it – we will all own it. I believe it’s not the case that once a person experiences a mental illness, that’s it for them. For me, it’s about people engaging in their recovery journey and leading a contributing life that’s meaningful to them. Thank you to everyone who has shared their experiences and advice with me so far. The collective wisdom of South Australians, including those who have never used the mental health system, will help us develop the Mental Health Strategic Plan. Encourage your family, friends and colleagues to sign up for our eNewsletters so they can get updates and learn how to have a say on our State’s Mental Health Strategic Plan. Listen live to Commissioner Burns encouraging South Australians to have a say on our state’s Mental Health Strategic Plan – Ali Clarke 891 live broadcast on 2016 World Mental Health Day Monday 10 October. 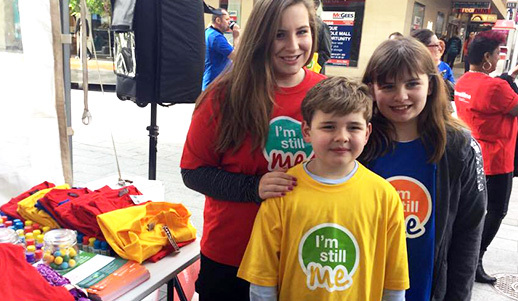 Counsellor and lived experience practitioner Ellie Hodges also explains why she was glad to be involved in the SA Mental Health Commission’s “I’m Still Me” anti stigma promotion. 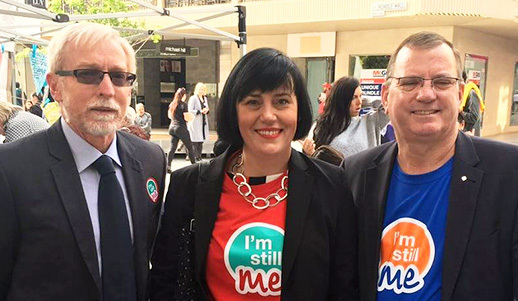 The SA Mental Health Commission’s “I’m Still Me” anti-stigma promotion encourages South Australians not to define themselves or others because they experience a mental illness. The promotion features video vignettes of three South Australians – Ellie, Cecil and Matt – who explain that they may have experienced a mental illness but “I’m Still Me”. 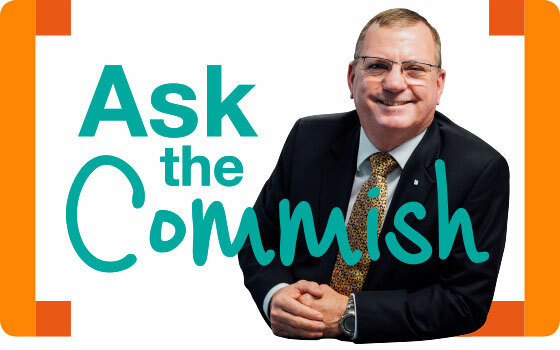 SA’s Mental Health Commissioner Chris Burns wants to hear from you – now you can go to samentalhealthcommission.com.au and send Commissioner Burns your question. The SA Mental Health Commission is relatively new and Commissioner Burns took up his role in July, so you may want to know more about the Commission’s role or how it will focus on strengthening the mental wellbeing of South Australians? Or you may want to ask “What’s happening with the Mental Health Strategic Plan?” or “How do I get involved and have a say on the Plan?”. So go ahead… Ask the Commish! SA Mental Health Week 2016 offered a great selection of events thanks to the Mental Coalition of SA and their non-government organisation (NGO) partners. The Mental Health Excellence Awards and official launch of Mental Health Week (MHW) will be held on Tuesday October 11 at Adelaide Oval. Visit the SA Health website to see the winners and finalists. 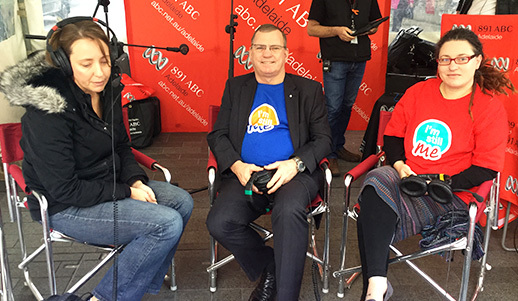 On World Mental Health Day, Commissioner Burns and the Commission team attended the Stall in the Mall where ABC 891 presenter and 2016 MHW Ambassador Ali Clarke broadcast live from Rundle Mall. Commissioner Burns launched the consultation phase of our State’s Mental Health Strategic Plan and the Commission’s new “I’m Still Me” anti-stigma campaign. Sincere thanks to Ali Clarke and “I’m Still Me” video star Ellie Hodges who shared her story on radio and to Cecil and Matt who also feature in our “I’m Still Me” video vignettes. Commissioner Burns officially opened the Carnival in the North free community event which showcased the skills and talents of people with a mental illness as well as providing information and activities to raise awareness of mental illness. Thank you for reading the October eNewsletter Edition from the SA Mental Health Commission. Please feel free to share this on social media.